What do you do if your men and boys want to decorate with a sporting theme? Just say NO, go for a look that puts you in the grandstand with flags and banners draping everywhere or find another way that does not ruin your decor style? Sporting colours are often loud, solid and traditional colours. Think of the Blues from NSW and Maroons from Queensland here in Australia, red for Manchester United. Or what about when they put together 2 colours that can make you look like a bumble bee. That’s Wellington, NZ, colours if you do not know. What is clear is that most sports team colours are not necessarily how we would like our homes to be decorated so here are alternatives for the State of Origin Supporters in your family. First the Blues. Here I recommend the use of pale blue stripes. These come in a number of different widths and can be used as a feature wall or whole rooms. 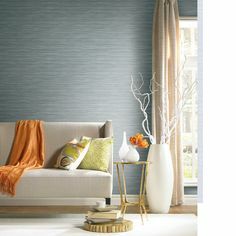 Striped wallpapers can be hung sideways, called railroading rather than vertically for a different look. 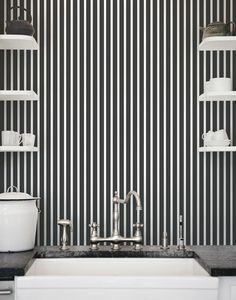 This can make a wall appear wider as the eye follows the stripe around the wall. On sports game night when they are all sitting around the TV you can let the sports fanatic place around the room some favourite item like scarves, signed football or team banner. When the sports night is over, with a quick tidy, you can quickly revert back to an alternative style such as calm beach look with beige and blue scatter cushions and matching decor accents. With solid dark colours like maroon a feature wall of block colour can be effective. 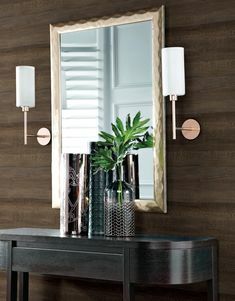 Typically dark blocks can be imposing so select a well-lit wall so that you get varied lighting to add variety to the solid dark tones. Dark coloured wood furniture adds to the rich traditional maroon colour. Select papers with texture or designs that will match your decor style. There will need to be some compromise from the sports fanatic. Again, with some banners, flags and a signed Jersey from Queensland any fanatic will enjoy the game. For the rest of the year you can enjoy your style of home decor.